Waterproof: Unlike many other materials, vinyl is naturally resistant to water which means it can be installed all over the house, including those moisture-prone areas such as the kitchen and bathroom. Visually appealing: A great advantage of vinyl is its ability to mimic natural hardwoods. Although vinyl is plastic, modern technology has enabled the authentic grains and knots to be visible in vinyl plank. 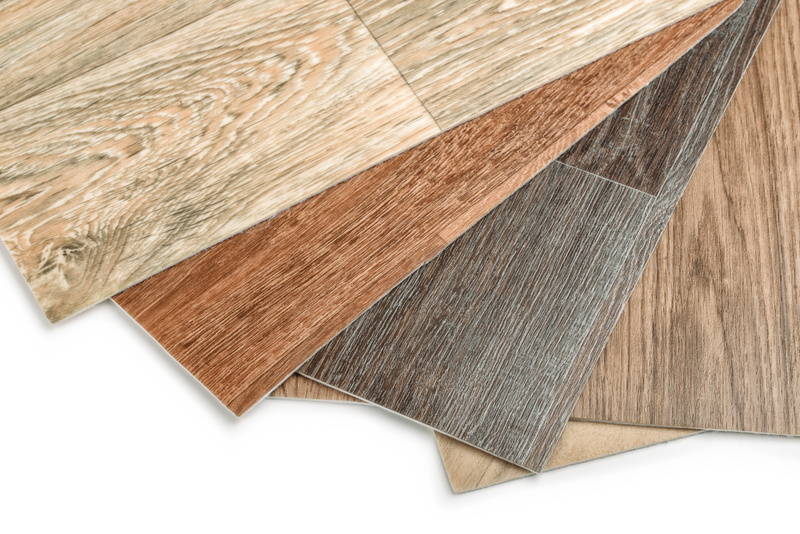 Cost-effective: Compared to most other flooring materials, vinyl tends to be cheaper whilst still maintaining high quality. Soft underfoot: Vinyl planks that are backed with a foam underlayer have a softer surface than wood planks providing comfort underfoot and reduced stress on the body when standing. Simple maintenance: Vinyl is one of the easiest floors to clean – simply sweep and mop regularly to keep them in top condition. They are also stain-resistant and any spills can be easily wiped with a damp cloth. Difficult to install: For sheet vinyl, it is recommended to have a professional install as it can be difficult to lay yourself. If vinyl is glued down, this can also be tough to remove during a renovation. Less durable: Although vinyl is a long-lasting material, it can be damaged by sharp or heavy objects. Large items of furniture can scratch the floor if furniture pads are not used and items such as knives can puncture the floor if dropped. Lower resale value: Compared to solid hardwoods, vinyl does not increase your home’s resale value and can be a less appealing option. It also lacks the rich sound underfoot that wood flooring has. Can’t refinish: Unlike other floors where you can refinish or replace a damaged plank, sheet vinyl cannot be refinished and therefore the whole floor needs replacing if there is a rip or tear. Like all floors, there are pros and cons when choosing vinyl but for many homeowners, the pros outweigh the cons. If you would like to find out more about our vinyl range, visit us online at www.getfloors.com.au.